Twelve games played in Europe and North America in lead-up to World Cup of Hockey 2016. TORONTO/NEW YORK (Dec. 16, 2015) – The National Hockey League Players’ Association (NHLPA) and the National Hockey League (NHL®) announced today the training camp information and slate of 12 exhibition games for the World Cup of Hockey 2016. The training camps for all eight teams are expected to begin Sept. 4-5, with specific details related to each federation to be announced in the coming weeks. Each of the eight teams – Team Canada, Team Czech Republic, Team Europe, Team Finland, Team North America, Team Russia, Team Sweden and Team United States – will play a total of three exhibition games. The training camps and exhibition games will be held in locations across Europe and North America. The cities selected to host exhibition games are: Columbus, Pittsburgh and Washington, DC; Montreal, Ottawa and Quebec City; Prague; Gothenburg; Helsinki; and St. Petersburg. Below are the details, subject to change, for the 12-game exhibition schedule that will be played from Sept. 8-14. 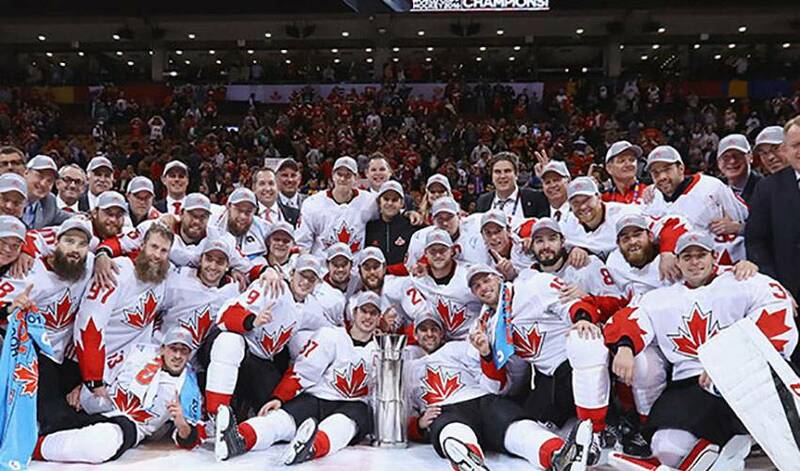 The World Cup of Hockey returns in September 2016 in Toronto, where eight teams, comprised of the world’s best hockey players, will compete for a best-on-best international hockey championship. The World Cup of Hockey is a joint effort of the NHLPA and the NHL, in cooperation with the International Ice Hockey Federation (IIHF). It is expected that more than 150 of the best players in the NHL will participate in this tournament. The top two teams in each group advance to the Semifinals, which take place Sept. 24 25. The winners of each Semifinal will compete in the Final, a best-of-three series on Sept. 27, Sept. 29 and, if necessary, Oct. 1. Official fan hospitality and travel packages for the World Cup of Hockey 2016® and all NHL signature events are available from PrimeSport, the Official Fan Travel and Hospitality Package Partner of the NHL®. For more information please visit www.primesport.com/nhl.